Whether you’re a domestic or commercial client, you can trust our team to carry out your oil tank installation. 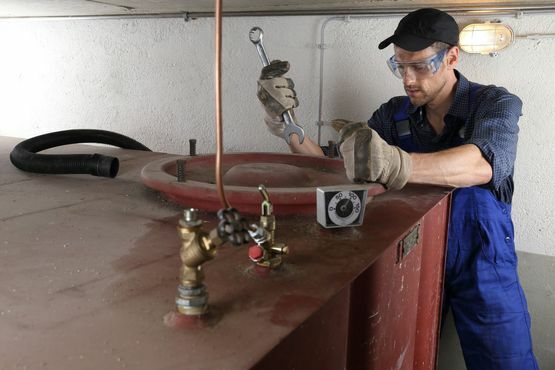 Here at John Cox (Plumbing & Heating) Ltd, based in Rutland, and the surrounding areas, we offer a range of oil tank-related services, including replacements, installations, and repairs. What’s more, we’re able to offer base constructions and cleaning solutions, too. Get in touch with us today to learn more. Here at John Cox (Plumbing & Heating) Ltd, we have a lot of experience working with domestic, commercial, and industrial clients. In fact, a lot of oil companies rely on our expertise to provide our repairs and services. in Rutland, and the surrounding areas to learn more about our oil tank installations.